The Times, Kaya Burgess, 24 May 2014. Struggling high streets should do away with car parking spaces and replace them with pedestrianised zones, cycle lanes and bike racks to boost business, according to transport experts. Mary Portas, the retail expert, recommended in 2011 that cheaper car parking was key to reviving the high street. Chris Boardman, the former Olympic cycling champion and policy adviser to British Cycling, disagreed yesterday, offering instead a “counter-intuitive” solution. Boardman said that retailers should be shown how the number of shoppers can be boosted by moving car parking spaces off streets to nearby car parks. The addition of protected cycle lanes on 9th Avenue in New York led to a 49 per cent increase in retail sales, compared to a 3 per cent uplift for shops on other local streets. The Times accompanied Boardman yesterday as he took his local MP for West Wirral, Esther McVey, on a cycle tour. In West Kirby, Boardman’s home town, he wants to remove car parking on The Crescent, a parade of shops, and create a pedestrianised zone with cycle parking for a six month trial. It would cost £12,000. McVey, the local Conservative MP, said there would need to be car parking for elderly or disabled people and that such schemes need consultation and advanced warning. This entry was posted in From the Press and tagged R&RTHA, Roads and Road Transport History Association on June 2, 2014 by admin. The Times, John Simpson, 24 May 2014. A learner driver has been arrested on suspicion of carrying out a carjacking on his instructor during a lesson. The young man allegedly pulled over, punched his instructor and got out of the car when he was asked to pay off outstanding debts during a lesson in Handsworth, Birmingham. When his instructor, 56, also left the car and tried to call the police, the younger man allegedly returned and began punching and kicking him before demanding the keys to the driving school’s Nissan Note and driving off in it. He is accused of stealing his instructor’s mobile phone. The alleged victim was not seriously injured. Police said that the car had not been recovered. A 22-year-old man was arrested at home at 6am yesterday and was being questioned by detectives from West Midlands police. Marketing manager for First Cymru Buses Phil Trotter, right, handing over the keys for a 1976 Bristol VRT double decker to Peter Nedin and John Adams for renovation by Swansea Bus Museum. IN his 45 years behind the wheel of Swansea buses, Peter Nedin clocked up well over a million miles without ever having an accident. And as a retirement present like no other, the 68-year-old has been given a full size open top double deck bus by First Cymru. He is not taking it home, though. Peter, from St Thomas, volunteers at Swansea Bus Museum, and his former colleagues thought restoring it would make the ideal hobby. So Peter, and his fellow volunteers at the museum, will now restore the bus — a Bristol VRT open topper — to its former glory before putting it on display for all to see. “People had often joked that I should be given a bus because I’d worked for the company so long, but I never actually expected it to happen,” said Peter. “It was such a shock and a great honour to be told the old open topper would be donated to the museum in my name. “It’s in really good condition for its age and it’s nice to be able to keep this in the area, helping to celebrate its history. “I had a fantastic career at First, and a great sending off when I left. I’m now enjoying retirement and wondering how I ever really had the time to go to work. First Cymru managing director Justin Davies said: “It was a sad day for us when Peter left the business. He has been a perfect employee, he’s a brilliant driver and was great with all the customers. “We recognise though that after 45 years of working for us, five of which have been on a part-time basis, he wanted to spend more time doing the things he loves even more — restoring old buses. This entry was posted in From the Press and tagged First Cymru, R&RTHA, Roads and Road Transport History Association, Swansea Bus Museum on April 28, 2014 by admin. From the BBC News web site, 31 March 2014. A bus service used by thousands of visitors to the Brecon Beacons is being axed as part of budget savings of £650,000 over the next two years. 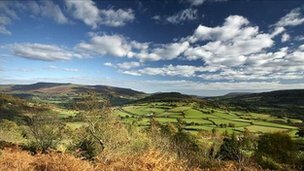 Brecon Beacons National Park Authority faces a budget cut of 8.9% from the Welsh government from April. It follows a public consultation over the bus, which brings passengers from Cardiff, Newport and Swansea on Sundays and summer Bank Holidays. But a bike bus service will still run on Sundays and summer Bank Holidays. The authority had said it needs to make savings of more than 13% over the next two years, which prompted a review of its services. It has 130 staff and has responsibility for planning issues and managing the national park, which attracts 4.15m visitors a year. Earlier this year the authority also decided to cut seven posts as part of its savings plan. The authority said it had decided to stop the service as a result of falling income from partners and concessionary fares, and a significant rise in tendered prices for the coming year. It added that the Cardiff to Brecon bike bus using a 24 bike trailer will continue to run from 25 May to 28 September on Sundays and Bank Holidays. The service will interchange with the Hereford 39A service in Brecon and then shuttle between Brecon and Abergavenny twice during the day. 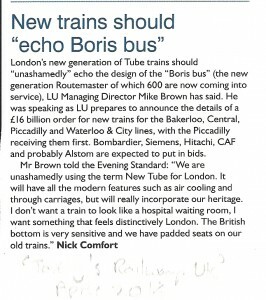 Martin Buckle, Vice Chair of the National Park Authority’s Planning Committee said: “We understand how very disappointed many of our regular passengers will be at the withdrawal of the service. “We hope they will still be able to travel to the National Park by making use of the Monday to Saturday bus services, and we will continue to work hard to promote these. The Beacons Bus bought passengers into the area on Sundays and bank holidays between May and September. Axing the service – which was used by 5,552 people last year – will save the authority £26,000. This entry was posted in From the Press and tagged Brecon Beacons, R&RTHA, Roads and Road Transport History Association on March 31, 2014 by admin. 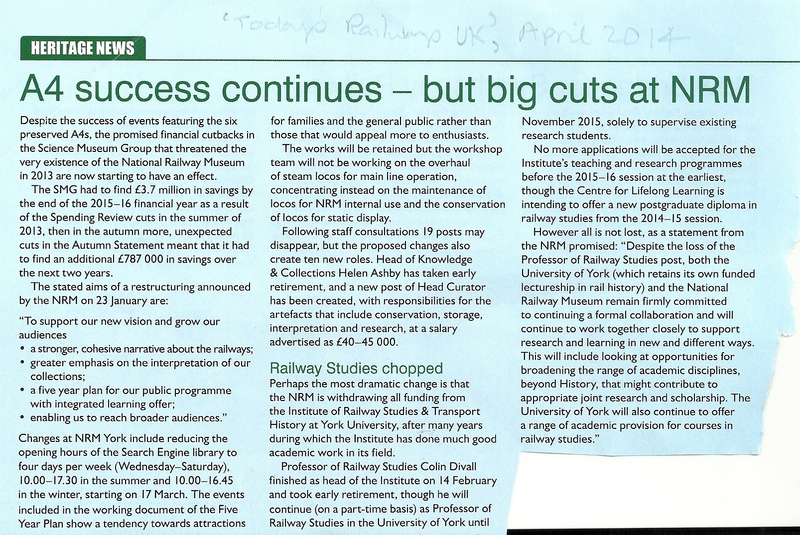 These cuttings are from the April 2014 issue of Today’s Railways UK. 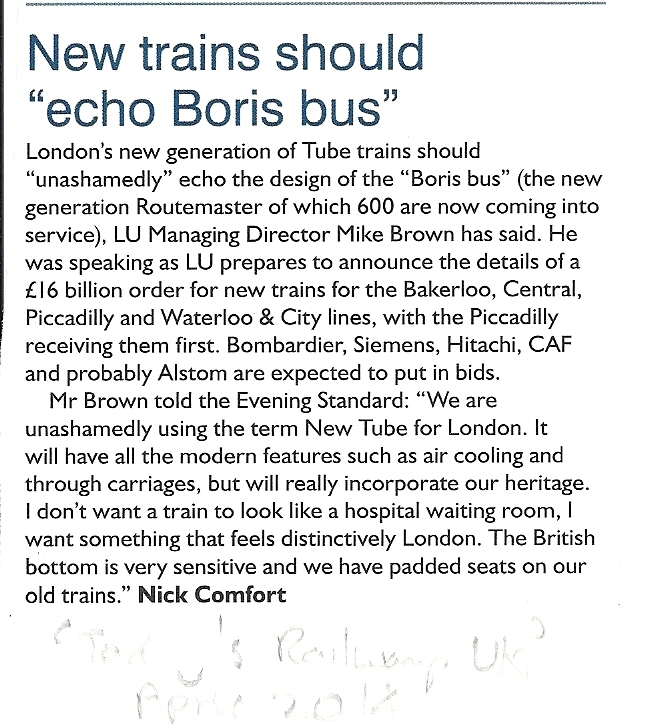 This entry was posted in From the Press and tagged R&RTHA, Roads and Road Transport History Association, Today's Railways UK on March 31, 2014 by admin. See the full story on the BBC website. This entry was posted in From the Press and tagged R&RTHA, Roads and Road Transport History Association on December 20, 2013 by admin. Will Straw (Associate Director for Climate Change, Energy and Transport, Institute for Public Policy Research), The Times, 9 October 2013. Commuters reading their morning paper could be excused for thinking that energy prices are the main cause of the cost of living crisis. The truth is that getting to and from work costs about three times as much as keeping the lights on and homes warm. Average households spend £65.70 a week on transport but just £20.20 on gas and electricity. All political parties aimed to address transport during their party conferences but it was overshadowed by announcements on energy prices. George Osborne announced a further fuel duty freeze for motorists and Labour announced a slew of measures to address rising rail fares. Bus policy got left in the manifesto depot. Although they make up a small proportion of overall family spending, buses are the most popular form of public transport: 5.2 billion passenger journeys were made on local buses in 2012 compared to 1.5 billion rail journeys. These users — particularly the young, old and those from poorer families — have been subject to the fastest price rises. From 1997 to 2012 bus fares rose 28 per cent above inflation compared to a 21 per cent rise in rail fares. Meanwhile, motoring costs have fallen by 6 per cent. So how should politicians address the “cost of buses” crisis? Lessons must be learnt from the failed free market experiment of the 1980s. The 1985 Transport Act privatised and deregulated most bus markets with catastrophic consequences. Bus usage outside London is now a third lower now than it was at the time of the 1985 Transport Act. Meanwhile in London, which was never deregulated, bus use has doubled over the same period. Public bodies were given powers to set fares, routes and service levels. London bus usage exploded after the decision by Ken Livingstone to use public funding from Transport for London to increase provision. Because London’s market is functioning, subsidy levels per passenger are lower in the capital than in the rest of Britain. Outside London, the powers currently available to local authorities to intervene in bus markets have never been used properly, because bus operators use their market dominance (five companies have two thirds of the market) to threaten the withdrawal of key services. Creating new bodies with the scale to challenge operators and the powers to regulate prices would be the best way to increase quality and reduce prices. For too long trains and automobiles have dominated political thinking on transport. It’s time for politicians to get on the bus. This entry was posted in From the Press on November 7, 2013 by admin.